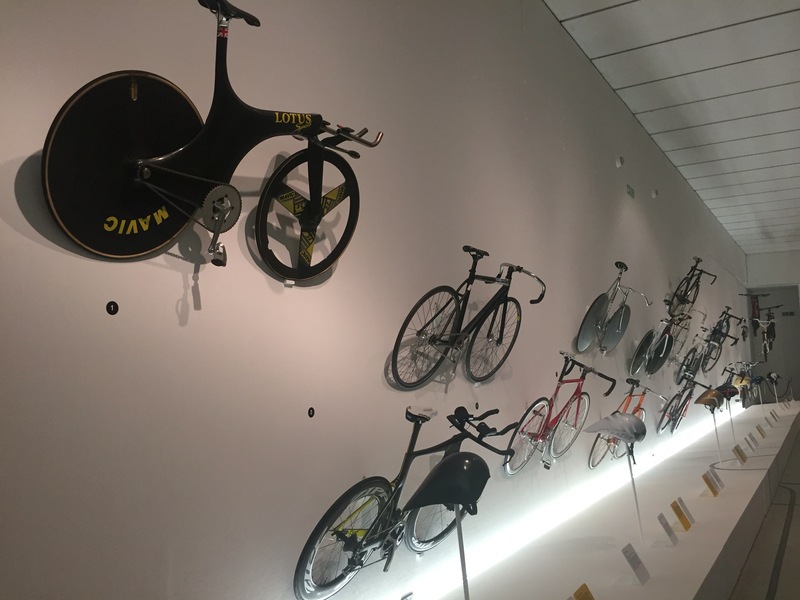 So if you’ve not been, or you don’t know, the design museum in London has a fantastic exhibit on at the minute. It’s devoted to bikes. What could be better than that? Impressive line of bikes to greet you. From the original diamond frame bike which broke the mould, to Chris Boardmans 1992 Barcelona bike, which, erm… Broke the mould. ‘What’s so ground breaking about these bikes then?’ I hear the already underwhelmed ask. Well, underwhelmed pushy peddler – the 1992 Boardman Lotus bike changed track pursuit riding forever. 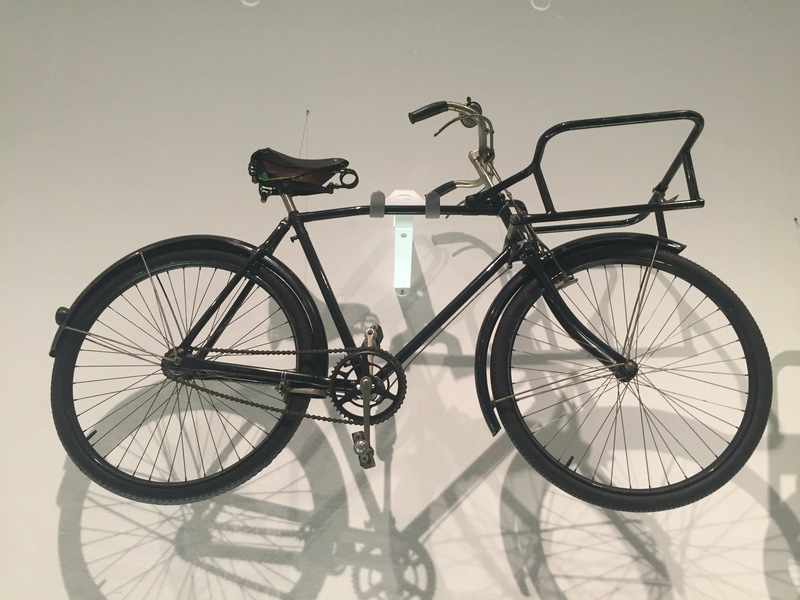 Working with complete cycling novice and self confessed know it all, Boardman developed not only a bike but a new riding style, the superman, which would give him 6-9 seconds over a pursuit distance. Those sort of figures couldn’t be ignored, changing not only his style but the way bikes were made and rode over this distance. Impressive. 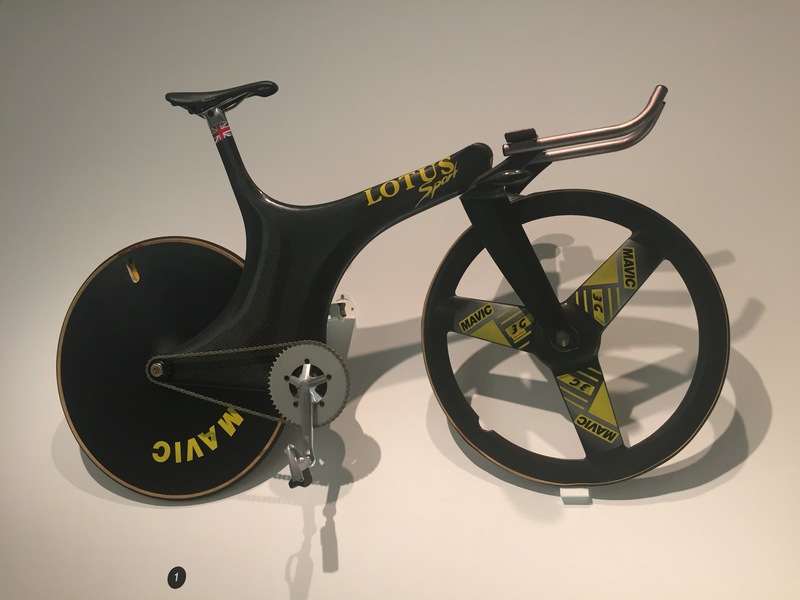 The Broadman Lotus, from 1992. Moving ever so slightly to your right another icon defining bike is sat proudly on the wall, complete with the riders helmet. Arguably the best British rider we have ever seen. 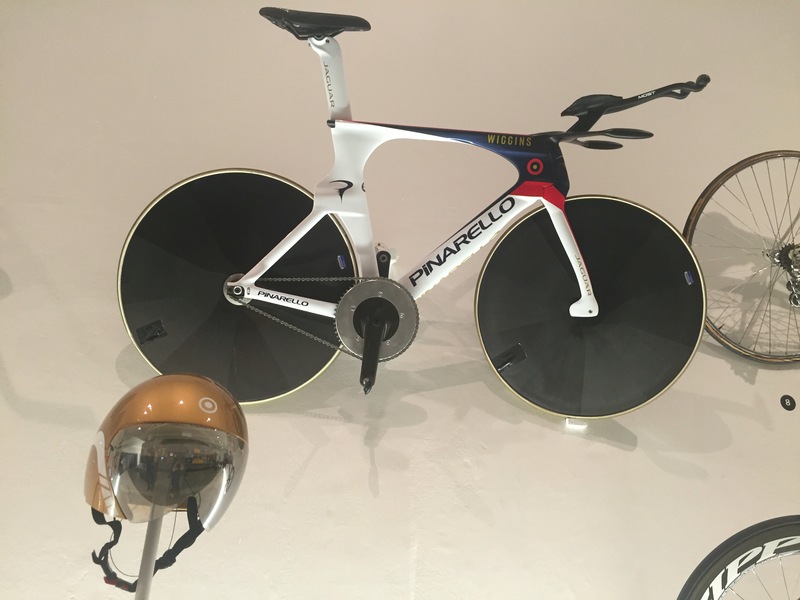 Yes, Sir Bradley Wiggins’ hour record bike. I mean the man needs no introduction, his style, his bike riding, his personality and ego all speak for him. And there’s his bike. I couldn’t write this post without mentioning it. There was just something about it that almost made you bow your head and apologise for gorping at it. Christ, don’t mention it while you’re in there and most certainly ask permission before you take a photo, just to be respectful to Sir Brad of course. You can almost see Wiggo’s grimace in his helmet and the superman position still strong even after 23 years! Wonder with me down the line and we come across something which every kid of the time had to have and something which is still so retro cool today. 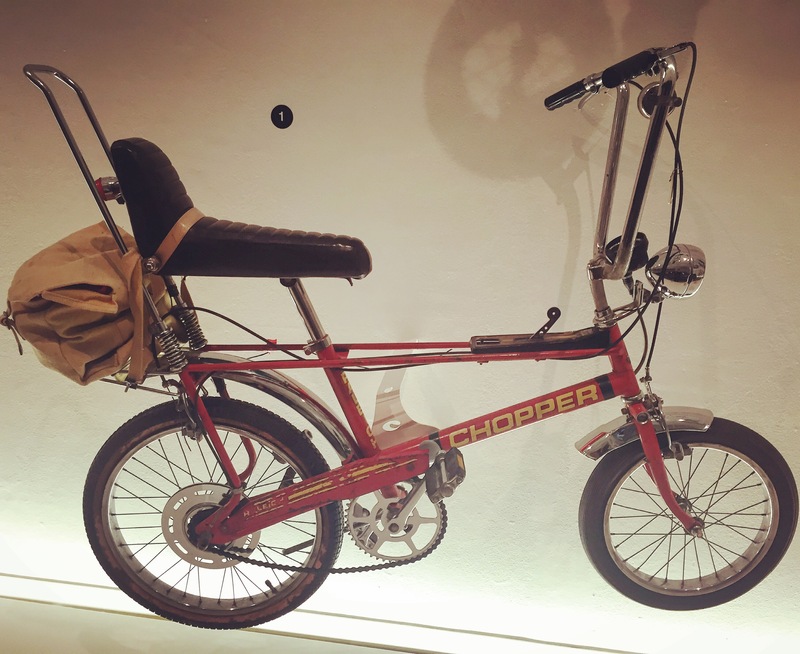 The Raleigh Chopper. I mean how cool was this little thing? Gears on the top bar, sit back seat, the handlebars, it even had a speedometer on it. Come on, who doesn’t want that today?! Still a very, very cool bike. The Raleigh Chopper. I’m going to skip a few bikes now, not because they’re dull and boring (well, some of them were mountain bikes) but because you need to go yourself! 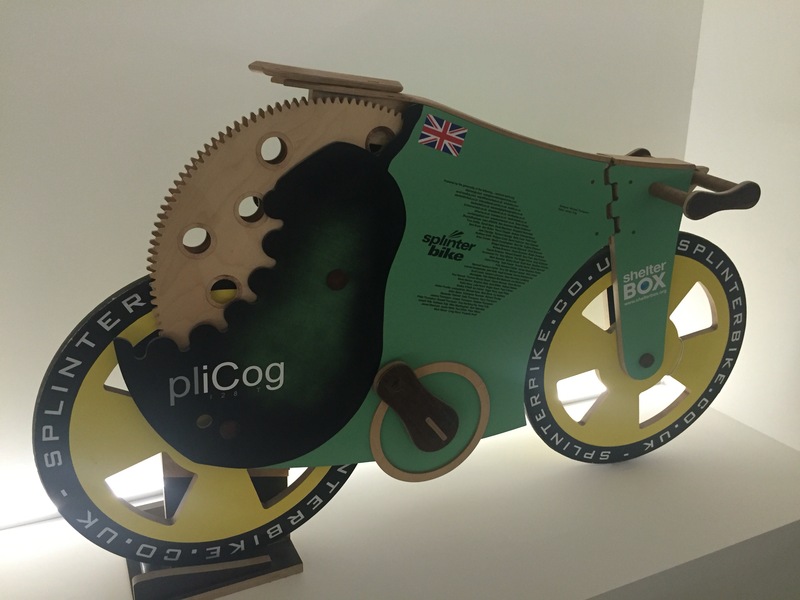 On to The Splinter Bike, come on, keep up. Look at the size of that gear! Probably part of a three cog fixed gear system to get the speed. So. Before you read all this and say, ‘Well there’s no point going now, you’ve shown it all.’ Don’t be so bitter! Of course you should go, it’s fantastic! A trades and bike. Originally built on Coventry. Why this one? Well, look at how cool it is! Plus, you don’t need a van, car or other mode of transport. This was it, back in the day if you wanted to get your goods from one place to the next you put it in the basket at the front and you delivered. Even after that you could still ride home and enjoy it. I love that. Go now and enjoy the simplicity of two wheels.